Nigel Guild began trading as Former Glory in 1986 and opened his first showroom in January 1989. This was situated on the busy A40 Western Avenue in Acton, London and within 3 years the sales stock had multiplied, together with a busy workshop. A move to a new site was necessitated in 1997 due to road widening plans . This was based two miles away on the A40 in Perivale, where the sales and workshop continued. After 18 successful years at this site , Nigel decided to escape to the country in 2015 and opened a new premises in Postcombe , once again on the A40 Road, near Abingdon. Former Glory have long been the Recommended dealer of choice, for first,second and third time MG buyers . We are the only MGOC Recommended dealer to exhibit at the NEC and London Excel Classic Car shows. We were the only dealer to be invited to display at the MGB 50th Anniversary at Blenheim Palace, 2012. 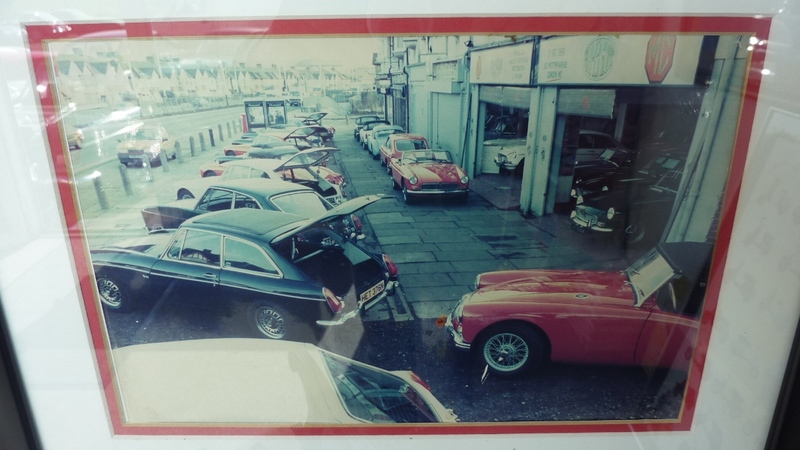 We strive to always display the finest variety of MGs for sale in the UK under one roof.